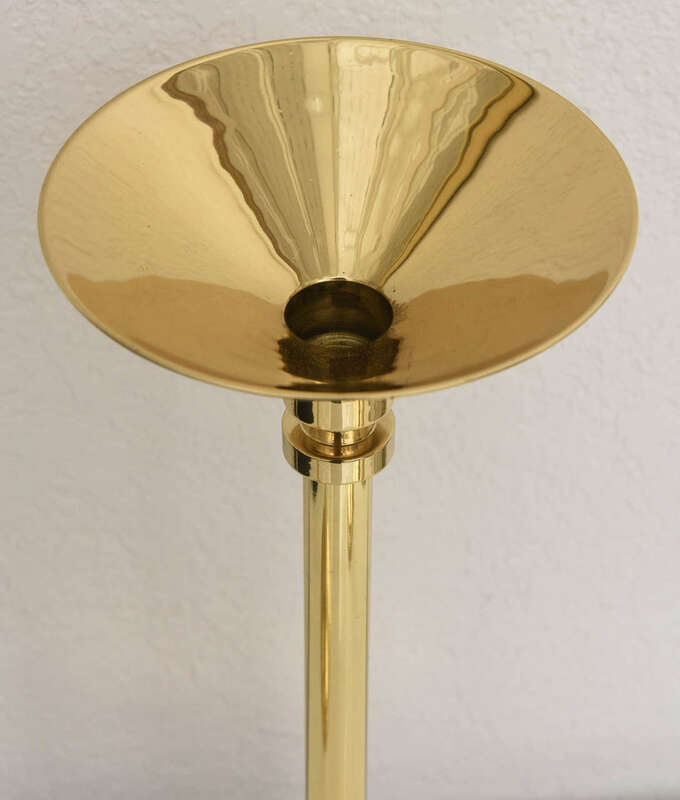 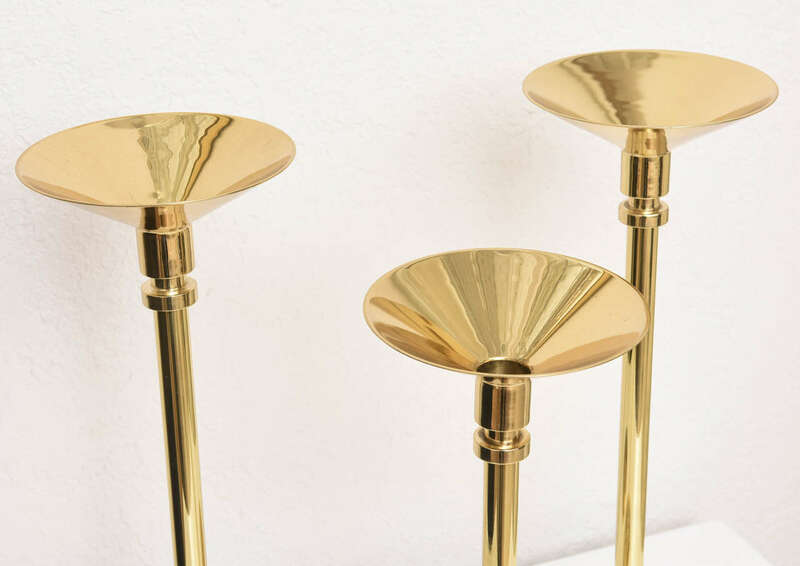 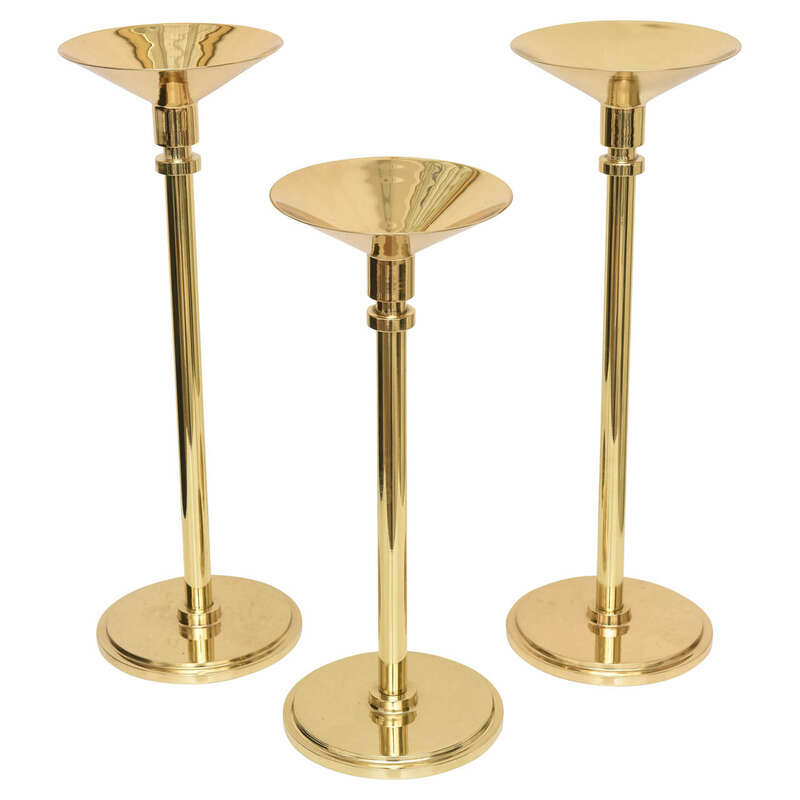 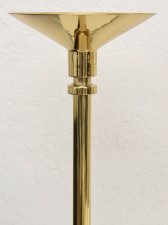 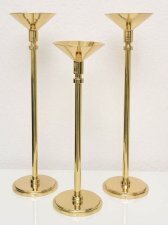 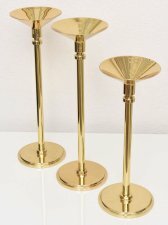 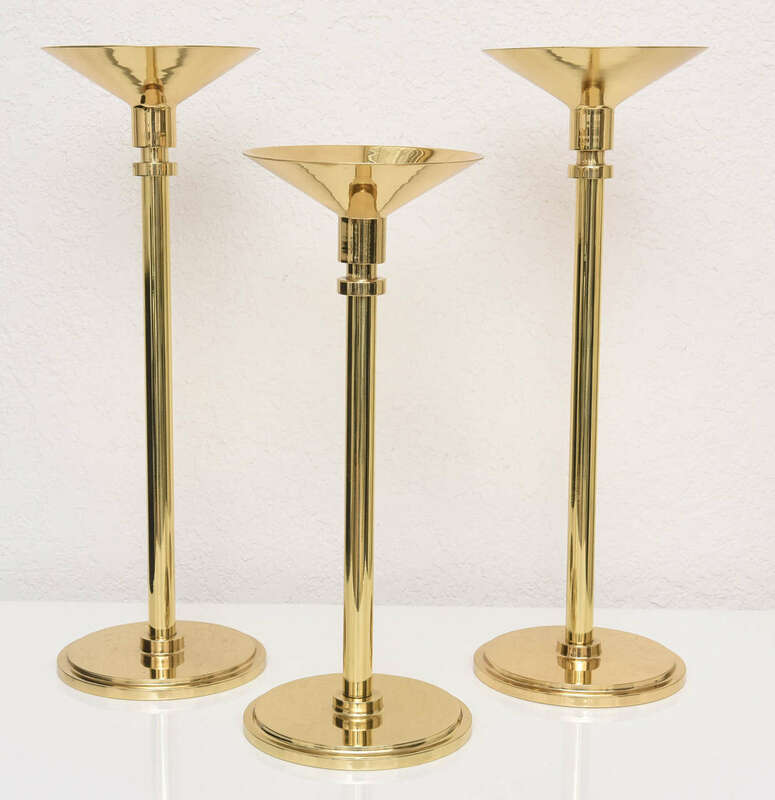 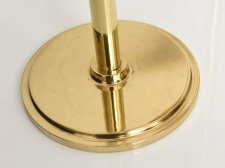 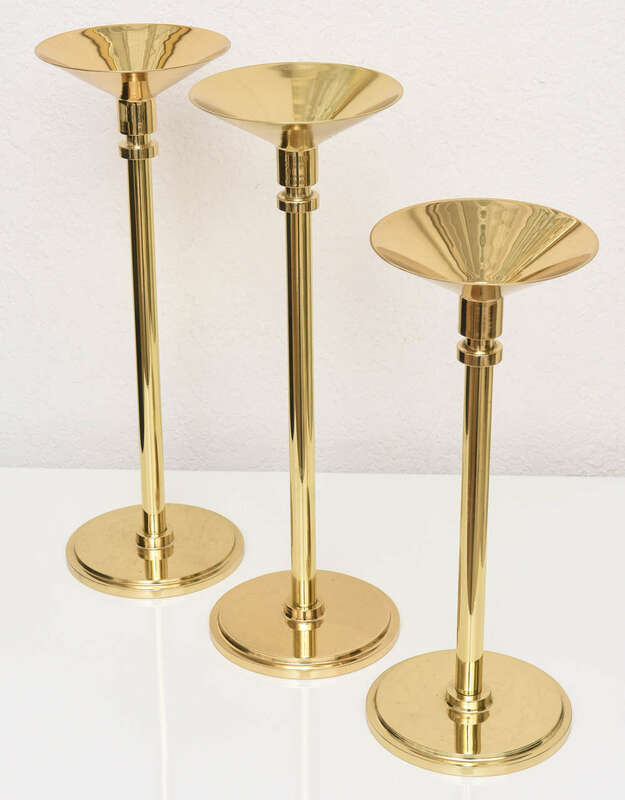 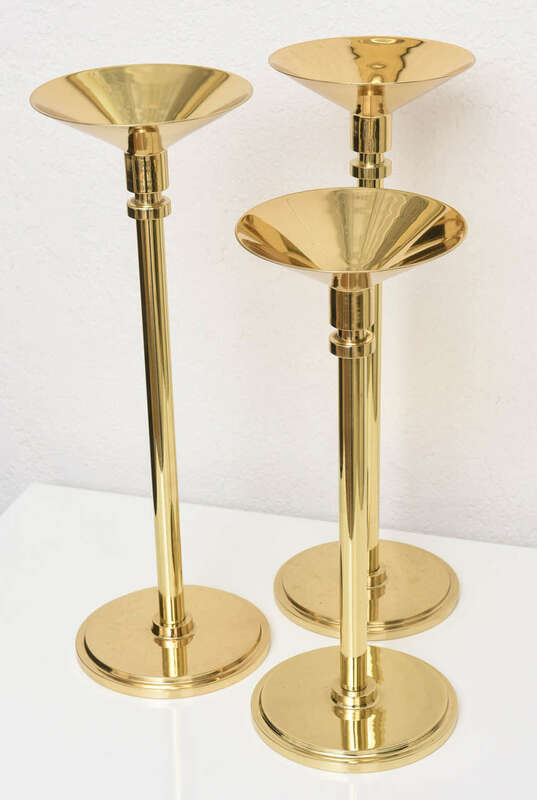 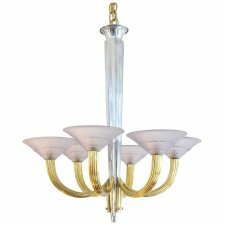 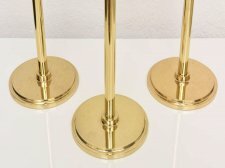 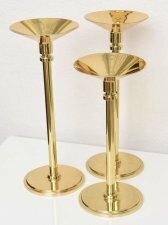 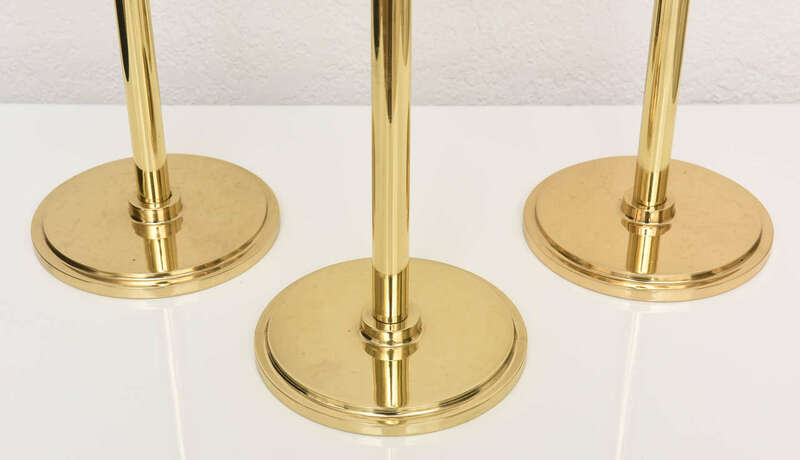 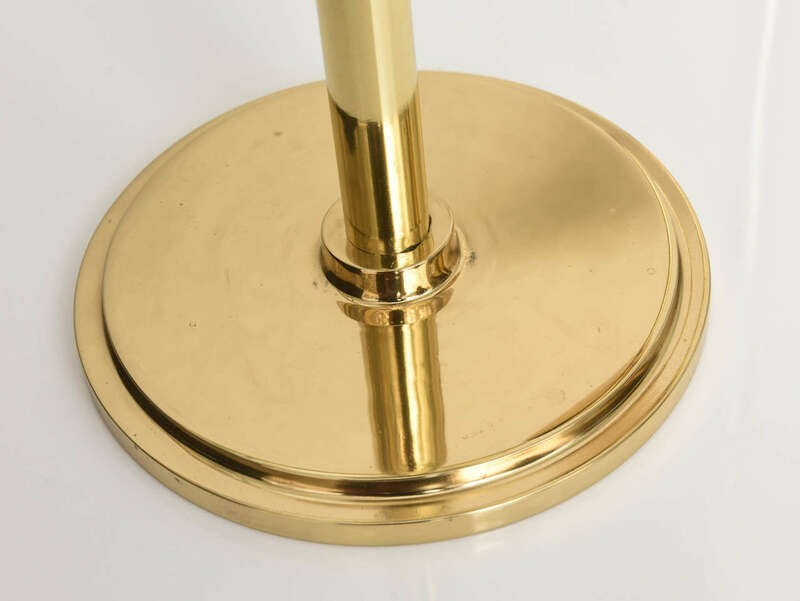 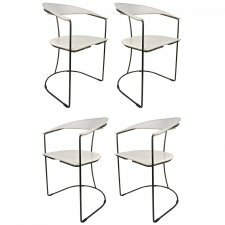 Trio of polished brass vintage candlesticks in different sizes. 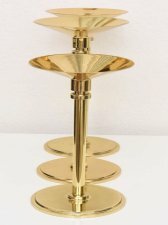 Shorter single candlestick measures 12" high x 4.75" diameter. Taller holders measure 14" high x 4.75" diameter.